What can I even say anymore? Many of the Marine Corps‘ iconic battles such as Iwo Jima and Inchon are decades in the past, and the amphibious assaults that were once the service’s calling card seem to have fallen by the wayside in a world of artificial intelligence weaponry, cyberwarfare and the Pentagon’s strategic focus on outer space and great-power rivals such as China and Russia. Now, an open letter to Lt. Gen. David H. Berger, the White House’s pick to become Marine Corps commandant, is fueling debate over whether the Corps is in the midst of an identity crisis that could mean tighter budgets and fewer clear missions. While the Army and other services look to expand into cyberwarfare and other modern modes of combat, some strategists and many Marines themselves say the Corps is moving further afield from its core mission as America’s expeditionary force in combat. They say Marines are beginning to buckle under the strain of seeking new missions and managing unconventional deployments to Eastern Europe, the North Atlantic and other places. “I have heard and read a dizzying array of what we are doing, pursuing and becoming, [and] not much of it is coherent,” Maj. Leo Spaeder, a Marine air-ground task force planner at the Marine Corps Warfighting Laboratory at the service’s headquarters in Quantico, Virginia, said in a much-discussed “open letter” penned for the online military news site War on the Rocks. “I pose a single question to drive our identity: Are we naval in character or purpose? If it’s the former, then we can continue to be anything we want and just continue using funny words for windows, walls and water fountains,” Maj. Spaeder wrote. The Marines’ forays into cyberwarfare and information operations are diluting the service’s proficiencies in amphibious operations and other sea-based missions that were once the bedrock of the Corps‘ character and capabilities, said former Marine Corps Lt. Col. Dakota Wood, now a senior defense analyst at The Heritage Foundation. The Marines are suffering from “a lack of service and institutional discipline” that is allowing the services to be pulled in myriad directions, Mr. Wood said in an interview. That suggestion sparked a spirited rejection from the Raiders, and even Gen. Berger weighed in. Mr. Wood said his complaint is not with the quality of the Marines’ various branches but with the lack of focus on where the service should target its efforts. “They are very clear in what they say. The indiscipline part is that they want to be involved in everything,” he said. 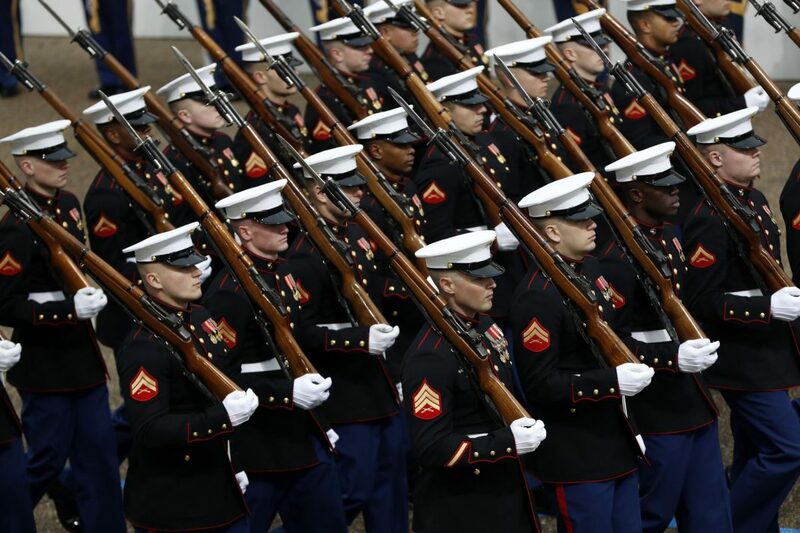 The debate over the Marines’ identity crisis has intensified with the Pentagon’s National Defense Strategy focusing on threats from Russia and China. But many of the changes proposed by the Corps‘ leadership predate the release of the strategy last year under Defense Secretary James Mattis, who has since left the Pentagon. “What the NDS does do is call on the services to focus on what major combat [operations] with a peer would look like, which makes it all the more important” to focus on the missions the Marines do best, the analyst said. But the Marines’ “gung ho” ethos is prompting service leaders to take on whatever mission comes their way. “It is part of this [Marine Corps] identity of U.S. force of readiness … but that readiness is [now] defined so broadly that you are ready to do everything,” Mr. Wood said. Mr. Wood argues in his analysis that the Corps would be better served by returning to its niche as the expeditionary, light infantry arm of the Navy. “To succeed in the one area in which it can act as no other service can, the Marine Corps must be as focused in meeting the challenges of naval campaigns in the Indo-Pacific’s contested littoral waters” as it did during its successful island-hopping campaign in the Pacific during World War II, Mr. Wood wrote. In the era of competition for power with Russia and China, “the Corps must ask whether a commitment of limited resources adds to its ability to prosecute a naval campaign and helps it to develop the capability to fight and win in the Indo-Pacific,” he wrote. “If the answer is ‘yes,’ the Corps should move ahead aggressively,” Mr. Wood said. Current members echo a sense of confusion about their mission going forward and the financial toll it is taking on the Corps. Gen. Robert Neller, current Marine Corps commandant, relayed concerns about tight budgets and expanding missions in a leaked missive to Navy Secretary Richard V. Spencer in March. With the Marines facing a massive repair bill for hurricane damage to North Carolina’s Camp Lejeune, additional requirements are quickly draining funding, Gen. Neller warned. “While FY2019 was supposed to be a ‘good year’ given an ‘on time’ enacted budget and a higher top line, those positive attributes are now overcome by the negative factors below, imposing unacceptable risk to Marine Corps combat readiness and solvency,” Gen. Neller wrote in the March 18 memorandum. The Corps has taken steps to shift the service’s direction back to its core missions. Gen. Neller is calling for additional funds to flesh out the Navy’s fleet of amphibious ships — vessels critical to carrying Marines ashore during combat. Not everyone buys the argument that the Marines should pull back from new missions. However, the Marines’ inherent expertise in amphibious warfare will certainly have a role in the era of great-power competition, particularly in the Pacific, Mr. O’Hanlon said. “Those operations can be relevant to competition with China and Russia — if not against their homelands, then in other theaters in asymmetric ways,” he said. Heritage’s Mr. Wood said Gen. Berger, a former Recon Marine and later commander of I Marine Expeditionary Force with multiple combat tours in the Pacific, may be the right choice to address the identity crisis and fears of mission creep. “He is well equipped to understand what needs to be done, and he has the reputation to make the case,” Mr. Wood said. “The question is his willingness to push hard on some hard questions” facing the Marine Corps. Maj. Spaeder, in his open letter, titled “Sir, Who Am I?” said the Marines must act to define their role or face having others do it for them. “The Marine Corps is running out of time to be everything to everyone or satisfy the latest ‘revolution’ in military affairs,” he said. “The window to salvage the readiness of legacy forces, while designing the future force, is rapidly closing.